From the author of the number-one best-selling travel comedy That Bear Ate My Pants! Faced with buying a car and getting a real job - or taking the money and blowing it on a six-month adventure around Asia...well, there really is no contest! Who wouldn't want to visit exotic places, like Borneo, Cambodia, and China? Who wouldn't want to tackle the world's most dangerous hiking path, tangle with the Vietnamese Mafia, and suffer days in the dreaded Mongolian saddle? And who wouldn't want to try five-organ soup? All he has to do is survive long enough to realize his dreams. His rainbow-haired wife, Roo, is determined to keep him in one piece - but he's not going to make it easy. Six months around Asia will make-or-break them...literally. Join Tony and Roo on an epic journey through the weirdest and most wonderful things the continent can offer. Share their hopes and fears as they battle the wildlife, the elements, and the laws of probability to explore six fascinating and exotic countries. Together, they will prove one of the cardinal rules of travel: that nothing ever goes according to plan. Especially when you don't have one. Full of mischief and mayhem, this hilarious adventure is one you definitely don't want to miss. One thing's for sure; it ain't no holiday! 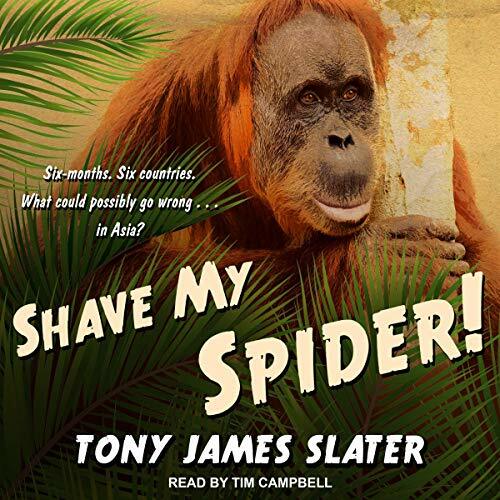 This is a comedy travel memoir, covering Borneo, Vietnam, Mongolia, China, Laos, and Cambodia. Don't Need the Whole Dog!